At KCU, our students experience a campus life that is designed to foster community and create space for building meaningful relationships. Enjoy live music and coffee in the McKenzie Student Life Center during Grounds & Sounds or catch a free movie with friends during movie night. 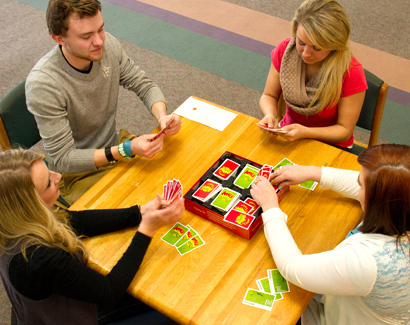 Play board games at game night, enjoy some home-style barbecue at a tailgating party before a home game, or join a team and dominate the intramural sports league. Whatever you enjoy doing in your spare time, we want to enjoy it with you and our 121 acre campus is the perfect place for it. Can’t find the activity or event you are looking for? Share your ideas with us and let us know how we can add it to our growing list of campus events. The best ideas often come from our students, so be sure to share your thoughts and we will try to facilitate even more fun student activities! 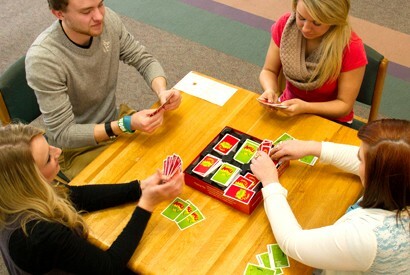 Email your ideas to wbbaumgardner@kcu.edu.